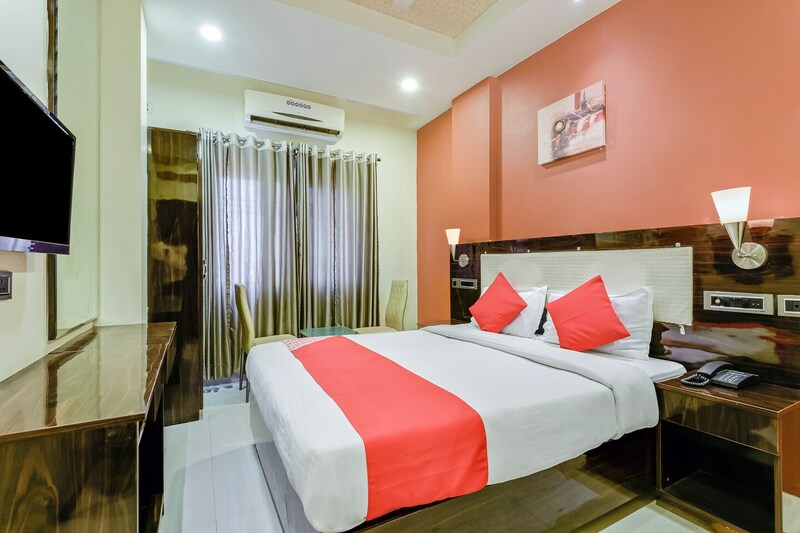 Hotel Starlight Inn is a modern and aesthetic property located right in the heart of the city, on Mondha Road in Aurangabad. The well-maintained property is close to Mondha Naka Bus Stop and Dhudh Dairy Bus Stop. The rooms in the hotel are designed with modern taste and are bright, spacious and well lit. The bathrooms feature stylish tiles and are clean. There is an in-house restaurant, banquet hall, conference room and elevator on the premises. The rooms are equipped with TV, AC, free Wi-Fi, and the bathrooms have geysers. Parking facility and power backup are other benefits. Shopping centres close to the hotel include Siyaram's Shop, Home Town Express, MS Sofa Store, Aurangabad and RCM BAZAR. The nearby restaurants are Indian Street, Cream Centre, and Mokoholic Juice Bar.